Last year, I received a bird feeder for my birthday. It has turned out to be one of the most enjoyable gifts for our family since that time. As we sit at our kitchen table, we can watch a variety of birds feast on the seeds we left them. Just yesterday, we observed a mouse under the feeder eating fallen seeds. A highlight of my 2 year-old’s day and an icky moment for mom! 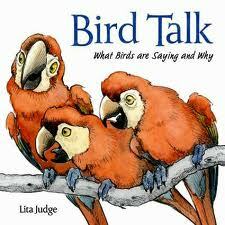 Today, we are exploring books about birds. I hope that you will be inspired to observe nature with your kids, enjoy some books and engage in a few literacy activities that I have to share! Your little ones will enjoy this book. 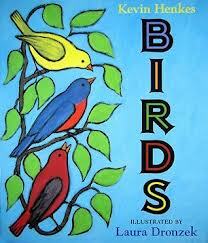 It’s a good introductory book to all the different shapes, sizes and colors of birds. Did you ever wonder what all those tweets mean? This book explores the meaning behind all those bird songs. This guide is meant to be taken on a bird watch! 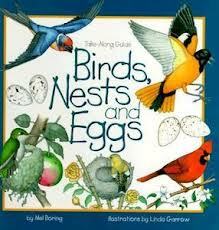 You will learn how to spot nests and identify a bird’s eggs. This brand new book will help you identify over 100 species of birds from the east coast to the west coast. 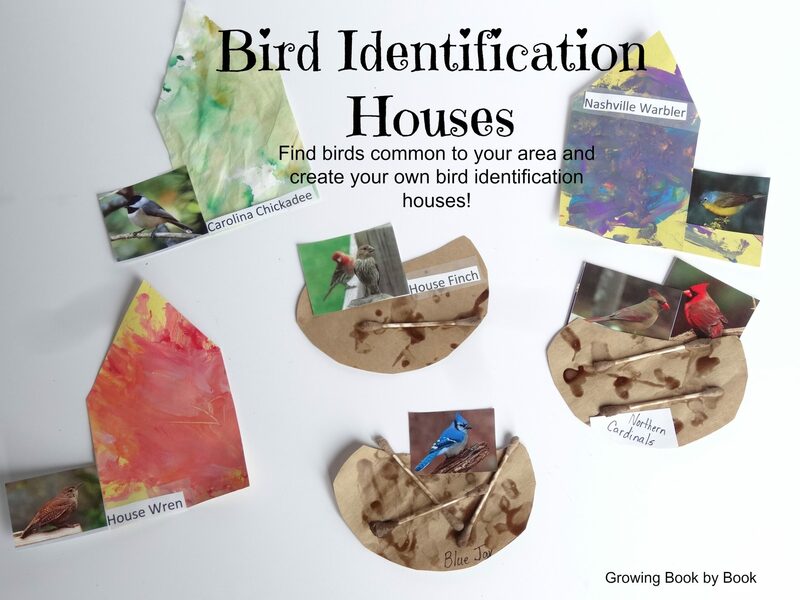 Keeping a bird journal is a wonderful way to integrate science, art, reading and writing. Purchase a blank journal or design your own. 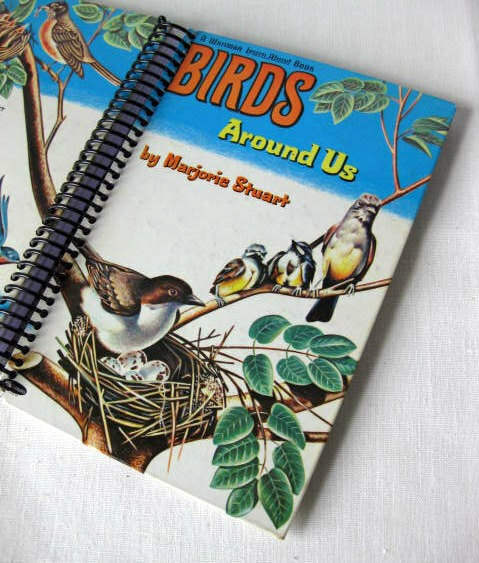 Have your child draw and write about birds they discover in their own backyard or when you are traveling. I like this journal from bookjournals store on Etsy. The covers are made from recycled hardcover books! The one pictured below is $14 plus shipping. We created birdhouses and nests for birds that we see outside our window. Using various art supplies we designed our houses and nests. Then I did a search and printed images of birds that are common to our area. We cut these out and attached them to a house/nest and labeled each one. They now hang on the window where we watch the birds at our feeder. For a little math practice, you could keep a sheet of paper next to each house and tally the number of times you see each type of bird over the span of a week. 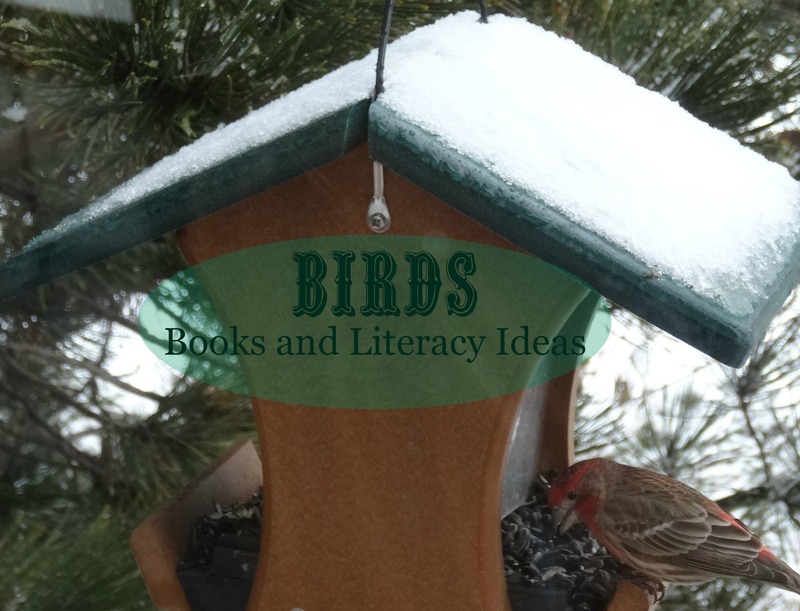 Do you have a favorite book about birds or a bird related activity? I’d love to hear your ideas. Great book selections! I see a couple new to me and some of our all time favorites! A wonderful collection of books. I love the bird houses! 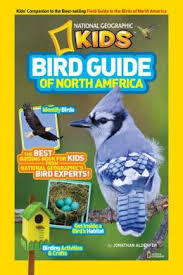 I found this is a great help on bird watching – http://ow.ly/iMUVa – It is a NA backyard bird guide that you can carry on your phone, you can even search for birds in the database. Perfect timing! I so want to get my kids interested in the birds that return to New England this Spring!! And we get so many in our backyard! I love this time of year for bird watching!